I-SWEEEP, the International Sustainable World (Energy, Engineering, Environment) Project Olympiad, is a unique science fair open to high school students from all around the world. ISWEEEP works alongside regional and other international science fairs in order to create this great experience for our young scientists. The projects selected to participate in I-SWEEEP come from the engineering, environmental and energy categories, and they must focus on sustainability for a better tomorrow. At I-SWEEEP we take pride in providing an exceptional learning opportunity for students, and a multicultural environment in which students can interact and learn from one another as well. Since 2004, Concept Schools have been providing different platforms for students to demonstrate their talents and achievements within the STEM fields. CONSEF is an interstate Science Fair that includes project session, design contest, STEM EXPO demonstrations, and Robotics. It is open to all public, charter, private and even home school students from 5th through 12. All events are open to the public view. The Siemens We Can Change the World Challenge is the premier national environmental sustainability competition for grades K-12 students. Through project-based learning, students learn about science and conservation while creating solutions that impact their planet. Beginning August 13, 2013 through March 4, 2014, teams from across the country will be challenged to create sustainable, reproducible environmental improvements in their local communities. To date, more than 80,000 students have participated in the Challenge. Give your students the opportunity, tools and inspiration to make a difference and become agents of change. Click on a grade band below for more information. 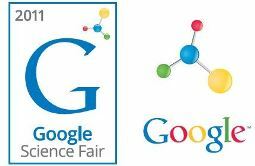 The Google Science Fair is an online competition open to students aged 13-18 around the globe. Until the competition re-opens for entries in January 2014, explore the winning ideas from 2013 that might just change the world. The Grand Prize includes a 10-day trip to the Galapagos Islands with National Geographic Expeditions and $50,000 in scholarship funding – and it will truly change your life. eCYBERMISSION is a web-based Science, Technology, Engineering and Mathematics competition for 6th, 7th, 8th and 9th grade teams. Your team will popose a solution to a real problem in your community and compete for State, Regional and National Awards. eCYBERMISSION challenges you to explore how Science, Technology, Engineering and Mathematics work in your world.